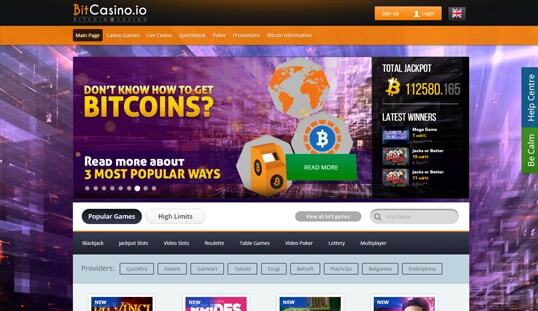 BitCasino.io offers a large library of Bitcoin casino games from different game developers, along with a live dealer casino and its new sportsbook. 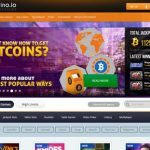 BitCasino.io is a Bitcoin-based online casino granted with full license to operate, which by far is one of the most monumental achievements for both the Bitcoin ecosystem and the iGaming industry. It was established in 2014 and is owned and operated by CoinGaming LTD. This casino is licensed by the government of Curacao, and runs exclusively on Bitcoin. 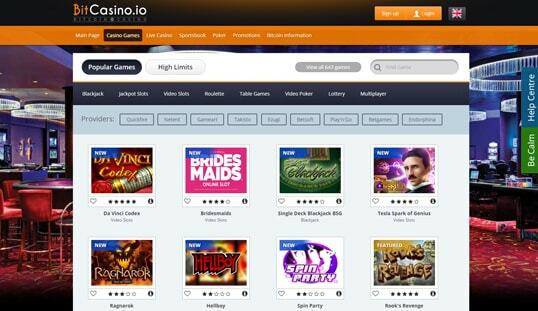 BitCasino.io already has over 1000 games, covering the favorites like the slots, blackjack, roulette, video poker, lottery, and a wide range of table games. Other than these games, players can also choose to take part in real-time betting through the live casino integrated into the site. The newest addition to its library and services is the sportsbook, which exposes its customers to live and pre-match bets on various sports and matches across the world. 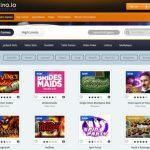 BitCasino.io is powered by CoinGaming.io and is supplied with quality games by the leading game suppliers. Titles from Betsoft, Ezugi, Evolution, Betgames, Endorphina, Quickfire, Play’n GO, GameArt, and NetEnt are available in its extensive library. With the myriad games on board the casino, players are assured of entertainment topped by premium graphics and smooth interface. All players must register for an account in order to play and win real Bitcoin. A username, a valid email address, and a password are needed in order to successfully sign up. However, the player’s date of birth is also needed in order to monitor the players and prevent underage gambling online. This casino accepts Bitcoin only, so players can expect quick payments. A Bitcoin wallet address will be provided by the casino, to which the deposits of at least 0.001 BTC must be sent. There is no limit to the amount that can be deposited. Meanwhile, the same process is employed when cashing out; only a minimum withdrawal amount of 0.06 mBTC must be met. Likewise, there is no specific amount required when it comes to withdrawals. 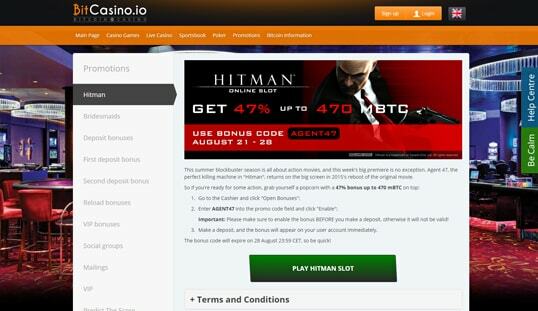 This Bitcoin casino offers great deals of bonuses and promotions to boost your bankroll before you start playing. New players are entitled to receive up to 2 BTC when they make the most of the Welcome Bonus offers. Deposit Bonus deals are also available, along with other giveaways like the VIP Bonus and other promotions. For the second deposit you will get 50% up to 1 BTC bonus and for the 3rd deposit there is 25% up to 1 BTC free reward on offer. BitCasino.io has a very beautiful and fast mobile and tablet version. Feel free to play your favorite games everywhere on the go. One of the advantages this Bitcoin gambling site has is their customer service. They offer live support, which only requires the registered username and an optional email address to start the chat. The customer support can also be reached through the contact form on its website. In situations where quick answers are needed, players can also check out the information provided in its FAQ section.